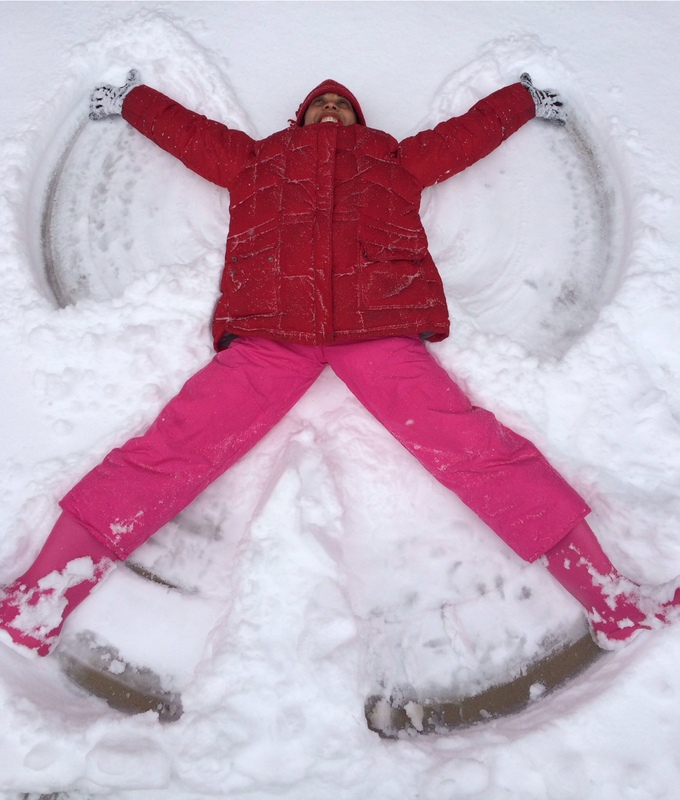 It started with a swirl of words that fluttered up among the frosty white, while I flapped my “arm-wings” to make a snow angel. Snow is nature’s we-all blanket. When Snow spreads her sheet, we all glisten. When Snow paints the streets, we all see her beauty. This is the narrative that rang through the day when, during the quiet that follows a snowstorm, I was immediately taken back to memories of my childhood. To a magical book that gently took me by the hand, and has held on ever since. 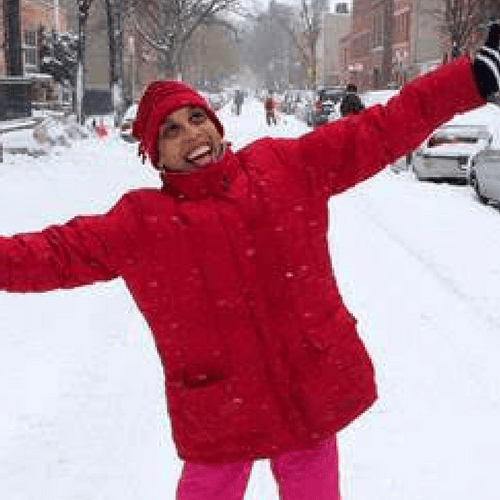 That book, The Snowy Day by Ezra Jack Keats, invited me to run outside and play. It showed me that wonder and beauty could be found among my world of glistening city streets, graffiti, manhole covers, and row houses with clay-colored stoops. The Snowy Day, with its main character, Peter—so feisty, so free—showed me me. Brown sugar boy in a blanket of white. Bright as the day you came onto the page. These snippets flickered through my mind. Around this same time, I discovered that the hundredth anniversary of the birth of Ezra Jack Keats was approaching. And soon, a publishing invitation came to write a book about Keats and his inspirations for the creation of The Snowy Day. That invitation might as well have been a sled left for me at the top of a hill. I immediately jumped, and started a joy-ride of writing about the life and artistic vision of a man who created one of the most beloved children’s books of all time. 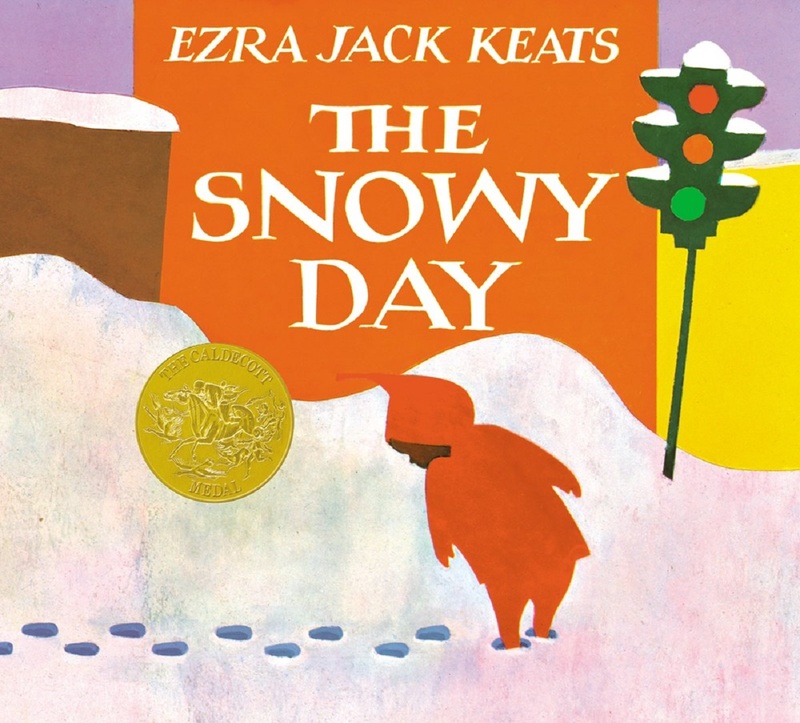 I was born in the inner city in 1963, the same year Ezra Jack Keats won the Caldecott medal for The Snowy Day. My parents were newlyweds with limited financial resources, but they purchased The Snowy Day for their baby daughter. As I grew, The Snowy Day became my “lovey,” the object that brought me comfort, like a soft bed pillow or a favorite toy. There was so much to savor in The Snowy Day’s words and pictures. So much hot-chocolate deliciousness in its simplicity. Keats’s vision of what a children’s book could be held such promise. Back then, Mommy and Daddy had marched for civil rights and equality, while at home, I held fast to a book that had come into the lives of children at a time when there was huge social change in America. Martin Luther King, Jr. had just delivered his landmark “I Have a Dream” speech. And there was Peter, the exuberant African American boy who romped through his urban neighborhood with the truest joy. Not once does The Snowy Day mention Peter’s skin color. However, it was the first mainstream book to feature an African American child. And when that book plunked into our lives, we smiled. We cheered. We kept enjoying the ride. Over and over, from the hilltops of hope we took pleasure in the simple fun of a day among the snowflakes. Soon, like a loyal little brother, Peter started following me around! I’d invited him onto my sled, and now we were gliding together. As I crafted the tapestry of Keats’s life-story, I carefully stitched Peter in. Throughout the narrative, he waves at us with his “peek-a-boo” presence. While writing, I explored rhythms and form so that readers feel like they’re enjoying an adventure, so that children and parents can dive into the pages and share the book through word-play. Imagine my delight when I saw the collage paintings by Steve Johnson and Lou Fancher that brilliantly celebrate Ezra Jack Keats’s visual rhythms by using bold colors and shapes, just like Keats did with his paintings. The Snow Day changed the face of children’s books forever, and touched the souls of readers from every walk of life. Only a great book has the power to do that. Because, a great book is like snow. It doesn’t care where you live or what color you are. It loves everyone equally. To me, this truth is at the heart of A Poem for Peter—the belief that beauty, joy, and love, as expressed through a child, are for every reader. 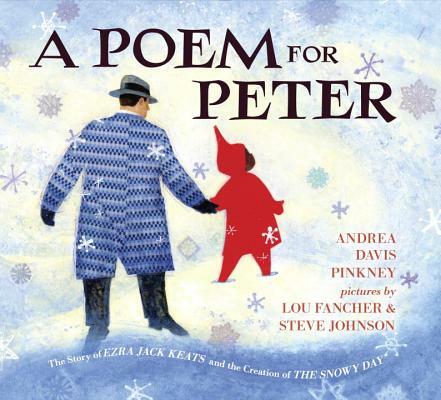 Be sure to check out our ALL THE WONDERS of A Poem for Peter post for much more with Peter, including a look at the artistic influences drawn from A Snowy Day, a podcast interview with author Andrea Davis Pinkney, and a closer look at the Ezra Jack Keats Foundation. Purchase A Poem for Peter for your reader or readers. Andrea Davis Pinkney is the New York Times bestselling and award-winning author of many books for children and young adults. In her spare time, she catches snowflakes on her tongue.